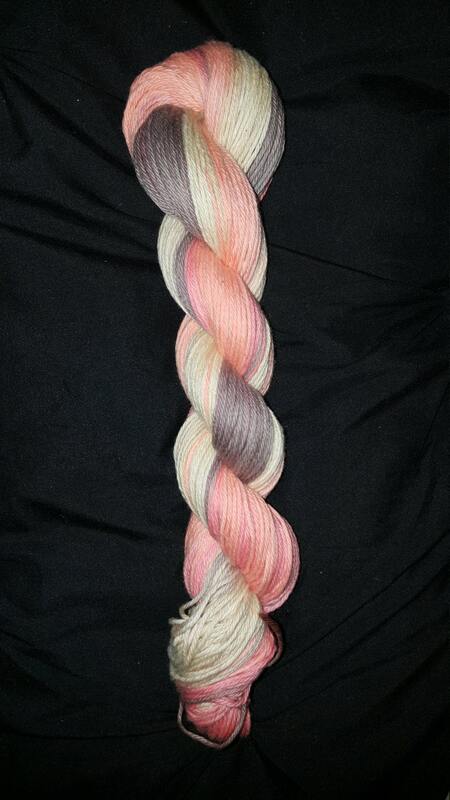 Bearded Lady- "Coney Island Collection" This is a Variegated colorway that goes from Mushroom Brown to Coral to Peach to Ivory. Great for self striping patterns! 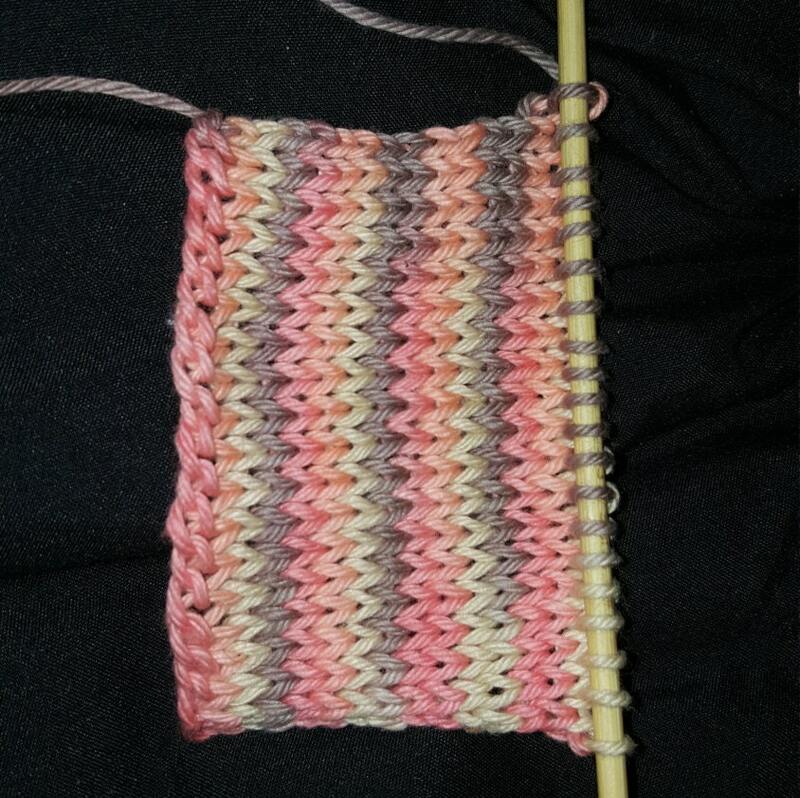 Swatch Picture: This is a 20 stitch swatch on #5 US needles. 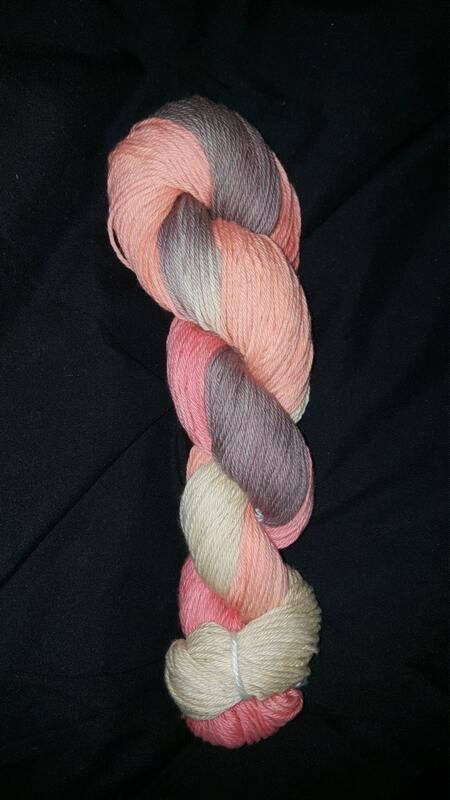 Please be aware that the color repeat will be different on longer or shorter stitch counts.